The Seaport location where GE’s headquarters are under construction. The $200 million GE headquarters project in Fort Point faces a new hitch: A contractor is threatening to sue over the company’s plan to use union labor on the construction job. Wayne J. Griffin Electric Inc. is challenging a labor agreement General Electric has in place for the renovation of two old brick buildings on Necco Court, the first phase of the industrial giant’s new headquarters. The challenge contributed to GE’s decision to delay a deadline for work bids by more than a week. The Holliston-based electrical contractor, which uses nonunion labor, is challenging the so-called “project labor agreement” that GE’s general contractor, Consigli Construction Co., struck with local trade unions that stipulates it will give local unions first dibs on jobs at the work site. The agreement also recognizes the unions as the sole bargaining representatives for all trade workers on the GE project. Griffin planned to bid on the brick-building portion of the GE job but now is essentially locked out of one of the highest-profile construction projects in the state. These “project labor agreements” are frequently used on major private construction jobs in Boston, in part to ensure work is unimpeded by labor shortages or stoppages. But a 1999 Supreme Judicial Court decision imposes limits on when they can be used for works involving public property because of the implications for competitive bidding rules: The project needs to be large enough and complex enough to merit such an agreement. In this case, the two old buildings GE plans to renovate are owned by a state agency, MassDevelopment, which is leasing them to the industrial conglomerate, as part of the big package of incentives the Baker and Walsh administrations used to lure the company here. Citing the 1999 court decision, Griffin said GE has not shown the job is complex enough to warrant locking out nonunion labor. It sent two letters, one to a GE representative and a second earlier this week to MassDevelopment, threatening to commence legal action. Wayne Griffin said his firm would meet prevailing wage requirements, a separate threshold that sets wages for work on public jobs. He said he runs the largest electrical contractor in the state, with more than 1,400 employees and $330 million-plus in revenue last year. A GE spokesman said the company is reviewing Griffin’s letter and intends to continue to comply with all laws and requirements. A spokeswoman for MassDevelopment referred questions to the governor’s office, which noted that the courts have ruled on the kinds of public projects where project labor agreements are allowed. 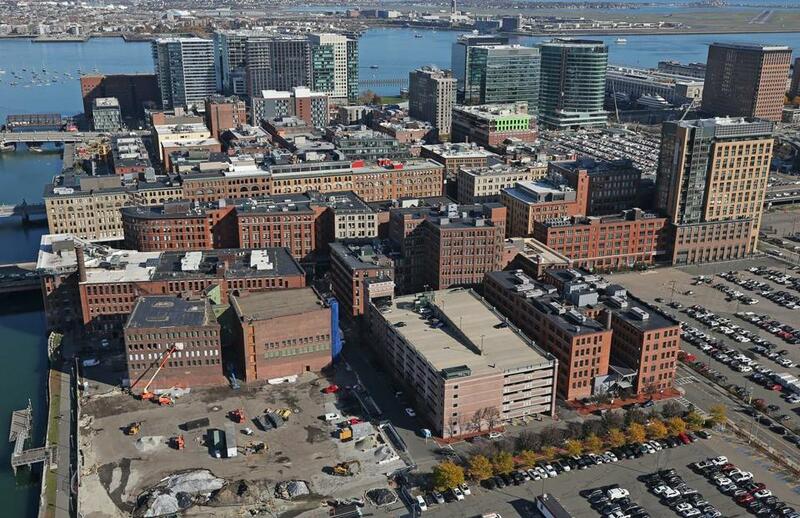 The two brick buildings are part of a larger $200 million headquarters complex GE is building, with the renovations scheduled to be completed in the first half of 2019, and a new 12-story tower overlooking Fort Point Channel by mid-2021. Jason Kauppi, president of the Merit Construction Alliance, said only about 15 percent of construction workers in the state belong to a union. “You’re talking about locking out the vast majority of the construction workforce for the benefit of a special interest,” said Kauppi, whose group represents nonunion contractors. Lou Antonellis, business manager at the International Brotherhood of Electrical Workers Local 103, said he expects a unionized electrical contractor will win the work, even if Griffin’s challenge succeeds and the labor agreement is dropped.